Torex Semiconductor has launched the XCL301 series of coil-integrated “micro DC/DC” converters that support negative voltage output. The XCL301 series is the first Torex coil-integrated micro DC/DC converter series that supports negative voltage output. Because an inverted output DC/DC circuit can be configured by simply adding two external ceramic capacitors and a Schottky diode, this series contributes to saving of board space and a shorter development time. An integrated coil simplifies the board layout and makes it possible to minimize unwanted radiation noise and circuit operation trouble. 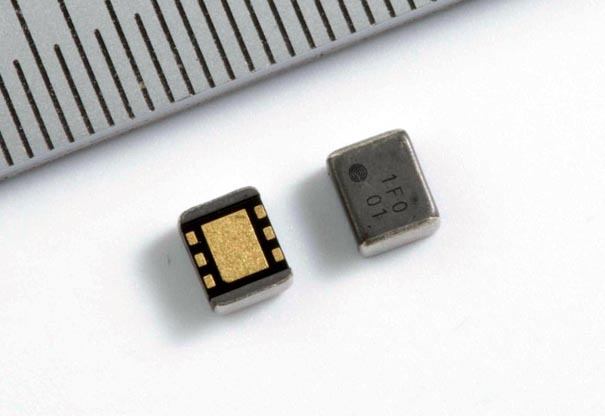 For the package size, the small CL-2025-02 (2.5 × 2.0, h=1.0 mm) is used. The operation voltage range is 2.7 V to 5.5 V, and the output voltage is fixed at –3.3 V (±2.0%). The control method is the auto switching control of PFM / fixed off time PWM. High-efficiency is obtained across the full load range from light loads to heavy loads by switching from fixed off time PWM control to PFM control when the load is light. This makes these products ideal for devices that require high efficiency at light loads, and devices for which battery life is a concern. Ideal for negative power stabilization circuits for devices with a varying input voltage from a single-cell lithium battery or similar power source.